Councilmember Gregg Hart and 2nd District Supervisor Janet Wolf. Janet Wolf and Gregg Hart didn’t quite get to attend their own funerals this week, but it was close enough, given the abundance of eulogizing directed at the two South Coast political figures on Tuesday. The lion’s share of the purple smoke, naturally enough, was directed at Wolf, frequently noted for the passion and ferocity with which she represented the Goleta Valley on the Board of Supervisors. She officially stepped down this week after 12 years of service. 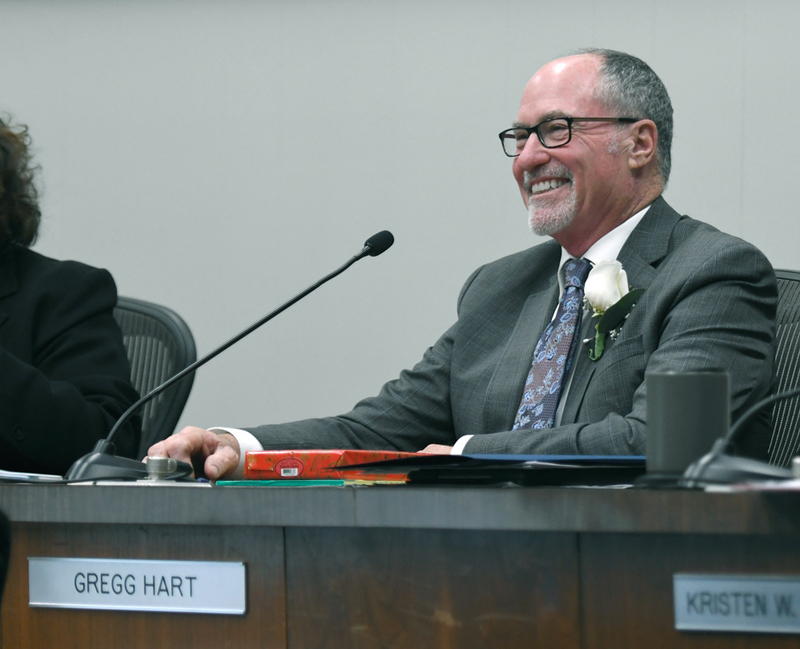 If the encomium for Hart — the political center of gravity on the Santa Barbara City Council on which he’s sat the past five years — was less voluminous, that’s because he’s not going away, but instead taking over the seat Wolf is vacating. On paper, Wolf and Hart seem cut from similar cloth; both are solidly progressive Democrats and all that suggests. In flesh and blood, however, the two are studies in contrast. Wolf is outspokenly independent, ready and willing to clash with her own side of the proverbial aisle as she was to throw down with Sheriff Bill Brown, with whom she most famously feuded over the treatment afforded inmates in the Santa Barbara County Jail, not to mention the size of the new North County jail. On both those issues, it should be noted, Wolf prevailed. By contrast, Hart—a policy wonk blessed with an incandescent congeniality—has played the role of consummate party loyalist to perfection. In that vein, Hart appointed Mollie Culver, chief campaign strategist for the local Democratic Party and until recently political consigliere to the area cannabis industry, as his chief of staff. Wolf, again by contrast, never warmed up to the cannabis industry, always posing the most challenging planning and procedural questions over the past year. 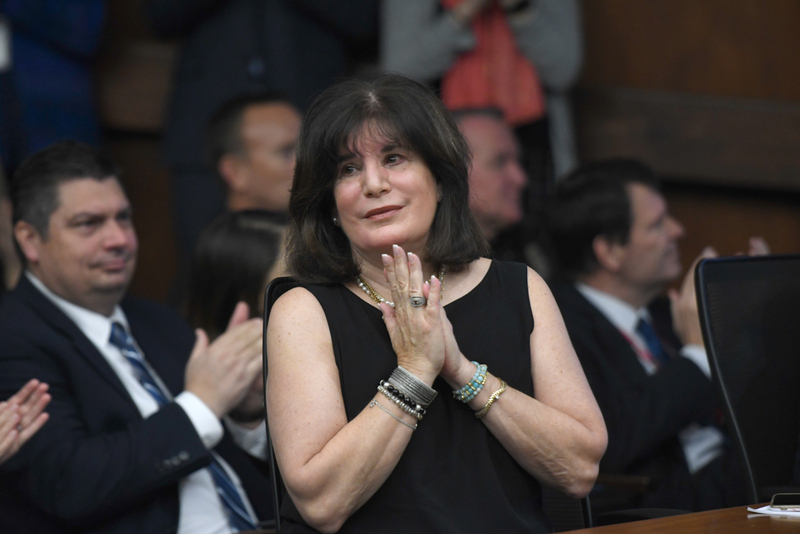 Wolf had not one but two send-offs, during which time she was praised by State Senator Hannah-Beth Jackson as “a sister from another mother” and described by District Attorney Joyce Dudley as “Thelma” to Dudley’s own “Louise.” Santa Barbara Mayor Cathy Murillo expressed sadness, stating, “I’ve been in denial. This is real, I guess.” Murillo and many speakers noted Wolf’s commitment to programs designed to give youthful offenders a second chance. Many detailed the key role Wolf played in securing the funding needed to get the county’s permanent Emergency Operations Center built. During her tenure, Wolf shepherded a growth-management plan designed to guide development in the Goleta Valley for 20 years. By contrast, the send-off for Hart at the Santa Barbara City Council—where he’d served five years—was more emotionally charged. Mayor Murillo and councilmembers Kristen Sneddon and Oscar Gutierrez expressed gratitude for the time they spent working with Hart, praising his skill and dedication. Only Councilmember Randy Rowse attempted anything resembling a roast. “That bicycle you’ve had parked in your office the past five years—the one with the two flat tires—has that ever been ridden anywhere?” Of all the councilmembers, Hart is by far the most politically experienced, having served eight years on the council prior. His departure will create yet another vacancy—the second one in the past year—which will be filled by appointment.